This year’s four-day Now Hear This New Music Festival, put on by New Music Edmonton, opened on Thursday March 21 with what looked to be a very interesting concerts at the Theatre Lab, Allard Hall, MacEwan University, and which, alas, I could not attend. 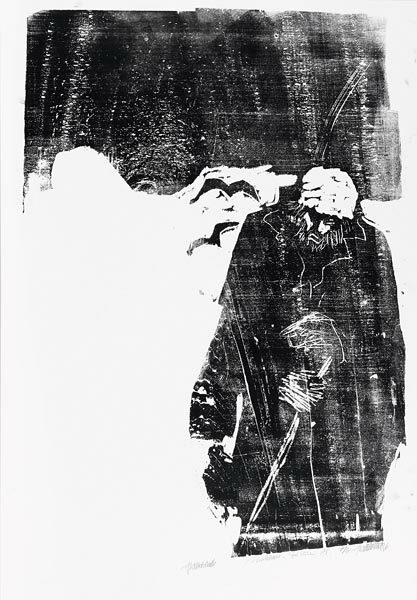 All the works were responses to real environments in some form or another. Sound artist Raylene Campbell’s Landing 23 used sample accordion textures, field recordings, and electronics to evoke the experience of the desert. The Olm: violinist Jeanna Turner and viola player Caitlin Richards are two recent mothers, and their works evoking the experience of early parenthood included echoes of real sounds, while Terri Hron’s 2017 work Nesting, reflects a long interest in the inspiration of birds. The suite of pieces, which I have heard on YouTube, integrates movement, sound, and video, bringing the wild life of the forest onto the stage, with an evocative mixture of live instrumental sounds and acoustic recordings. I did, though, get to Friday evening’s concert in Holy Trinity Anglican Church – or at least part of it. We were warned in the intermission that the final section of the program, to be played by the New-York based group Hypercube, would include very loud sounds, and earplugs were offered to the audience. I decided long ago, after experiencing very loud rock concerts in smaller venues, and over-decibeled blasts through earphones, never to put my hearing at risk again if I could avoid it. I reckoned that if ear-plugs were being given out, discretion was the better part of being a music critic, and left before Hypercube started. The highlight of the rest of the concert was Anna Pigorna’s moving Teach Your Daughters, for voice, prepared piano, and violin. Pigorna, now in her mid-30s, was born in the Ukraine, but raised in Canada, and much of her work has explored her Ukrainian heritage, both in her compositions and in the development of her folk-based singing style. Teach Your Daughters is one of a cycle of songs which she is currently working on, incorporating that folk tradition. It was inspired by an uncanny parallel that she discovered when recording folk songs in the Ukraine. One of those folk songs, which turned out to be widely popular, described how a woman was raped, and then tied to a tree and burnt to death. While Pigorna was in Ukraine, an 18-year old, Oksana Makar, was raped, strangled, and burnt, and died three weeks later in hospital, in a case that attracted international attention and protest. Teach Your Daughters was the first music I have heard by Pigorna, and, quite apart from its emotional impact, it suggests an original voice exploring new syntheses of influences. Her anger at the events lies mainly in the instruments, with a rather glassy, edgy sound to the prepared piano (played by Roger Admiral, who so often champions new music in Edmonton), and high harmonics in the violin (both were amplified), played by Arlan Vriens, who also at one point vocalizes. Pigorna herself sang the vocal part, with vocal lines very much in the folk tradition. It was moving and effective, though it really would have been useful to have had some idea of the texts. The amplification was also unbalanced, to Pigorna’s disadvantage as she was sometimes drowned out by the two instrumentalists. In the same concert, the trio Holy Drone Travellers were an interesting and enjoyable synthesis of east and west, with a piece titled Untitled that followed the pattern of classical Indian rāg, but with the timbres of synthesizer (providing, in part, the drone), and a trombone that initially sounded like Tibetan horns. Add a distorted guitar and table, and you have an interesting mix. Particularly impressive was at one point a very slow acceleration from Bhuyash Neupane on tabla, metronomically and microscopically accurate. I also enjoyed Edmonton composer and organist Reinhard von Berg’s four movement organ piece, Visions, though its rather stark colours and (in the company it was keeping) its relative lack of contemporary effects would not have been everyone’s cup of tea. Many years ago, von Berg was a boy in the 6th Edmonton Scout Group, who were charged with carrying the flag to the altar at Holy Trinity Anglican Church. While doing so, Onward Christian Soldiers was played on the organ, the first time that Berg had heard a pipe organ. He knew there and then he had to become an organist. And here he was, all those years later, not only playing it, but playing his own composition on it. The organ was updated last year, with a new set of pipes above the entrance doors on the west end of the aisle (the other pipes are in the choir area), and von Berg’s piece was ideal for showing off the antiphonal possibilities. For the movements are each quodlibets, where two or more already defined tunes are combined in counterpoint. In Visions those tunes are based on the tunes from the Anglican Hymnal, and inevitably there were echoes (both intellectually and occasionally musically) of Ives, another composer who loved such hymn juxtapositions. Von Berg’s palette is generally sparse – often the second tune was given just in a single line, rather than harmonized, which worked well when given to one or other of the set of antiphonal pipes. There’s quite a wide variety of effect, if not colour: the high twittering of one hymn against bass stops for the other in the second movement, a little harmonic tower-building, and some anger in the third (shades of Messiaen here), harmonic overlapping effects (with the pulse and oscillation of overtones) and little decorations in the quiet, contemplative fourth movement, where the influence of Messiaen returned in bird calls. The Saturday afternoon concert on March 23rd at Holy Trinity was a mixture of opposites. 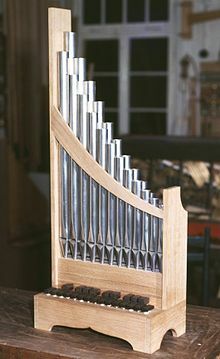 The one work was the Song of Sibyls created by Canadian keyboard player Katelyn Clark for the organetto, the small medieval portable organ that can be carried around by the player. It’s mixed with electronics and video, and the work is based on a medieval Catalan drama setting a prophecy describing the Apocalypse. Opening and closing with the sound of tiny finger-bells, the music, with the organetto ranging from pipe sounds to extended harmonic effects, was generally slow, meditative, often rather beautiful, and certainly mesmerizing, especially in the peaceful surroundings of the church. I would have been quite happy just to have had that side of the multi-media presentation. Unfortunately, it was combined with a video back-projected onto a big screen. The first 30 minutes or so was the most boring video I have ever seen. Apparently set in somewhere like Iceland (empty, blasted, dead grass landscapes with the occasional mountain and waterfall, and some broken down buildings), it was poorly shot, handheld, with very long takes, and washed out colour. There were two women. Then eventually there were three women. All looked around. Slowly. There was a moment of drama in the second 30 minutes when the three were seen skinny-dipping in a pool, but that seemed so out of place with the rest of the video that its significance was unclear. It then reverted to looking around slowly. And near the end, the woman with the hat actually took her hat off. This was a highlight. Maybe I was jaundiced, since, as it turned out, I was coming down with the vicious cold that has delayed my posting this review. But I did so enjoy the aural side of this work, which had none of the amateur self-indulgence of the video. 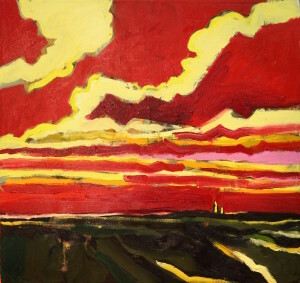 Readers can judge for themselves – the work can be seen on YouTube. Alas, because of that cold, I had to miss the final concert on Sunday, March 24, which I very much wanted to hear. There were three world premiers – one by Pigorna, one by the distinguished Cuban composer Evelin Ramón, and one by Toronto-based Monica Pearce, whose work The Flag was recently chosen as winner for the Creative Women at the End of the First World War Composition Competition. With new music one rightly expects quite a wide variety of quality – that inevitably on the cutting edge – but certainly the music I heard heard in this, the eighth Now Hear This Now Festival, was of a consistently higher quality than in some past Now Hear This festivals – and that does not include works I did not hear, but know, such as the powerful Love Songs by the Montreal-based Ana Sokolović, who won Classical Composition of the Year at the 2019 Junos, and which was performed by Helen Pridmore in the Saturday night concert. New Music Edmonton is, one feels, getting the formula right, with a wide appeal for what they are putting on. For Mark Morris’ preview of Edmonton’s new music festival, Now Hear This, in the Edmonton Journal, click here. The much anticipated visit of the Julliard String Quartet, who were due to play at McDougal United Church on Monday March 19th, in an Edmonton Chamber Music Concert, has sadly been cancelled due to the illness of one of the members of the quartet. 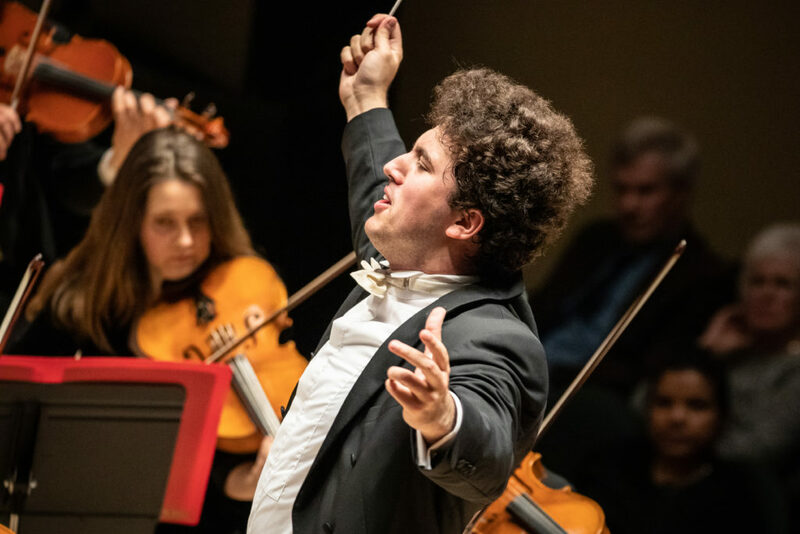 The Edmonton Symphony orchestra has announced its 2019 – 2020 season. It is notable for the large number of works by women composers. Below is a list of the works being played in the season, organized by composer but divided up into categories (symphonies, concertos, orchestral works, choral), and showing the soloist(s) (if any), the conductor, and the date of the concert. Readers have found this useful in the past. The Edmonton Symphony Orchestra’s Sibelius Festival ended, as it should, not with the quiet glaze of a northern Finnish sun over icy wastes – that was left to the first half of the closing concert – but with the life-affirming splendour of the final chords of the Second Symphony. It was also the most consistently satisfying concert in a festival that has shown the orchestra and its Chief Conductor – and, no doubt, for many audience members, the composer – in a new light, and it was enthusiastically received. It was followed by Prior’s own selection of 11 movements from the 19 in total found in the two Tempest suites, also written in 1926. He omitted the overture, and instead opened with the sparse Northern landscape painting of the ‘Oak Tree’ – here was decidedly a Tempest of a northern island, somewhere twixt the Faroes and the Åland Islands, without a vestige of a Caribbean surf, or indeed, a Mediterranean sun. Four more joyful movements followed, but even Caliban’s song is a kind of Hebridean dance with exotic tinges. Ariel’s song led us back to misty landscapes, and to the sense of resignation that somehow permeates the suite. The storm was next, but this is a storm of bitter cold winds and ice in the rigging, of fog horns in the brass – the kind of storm that one might associate more with Pullman’s Golden Compass than the start of Shakespeare’s play. Two more dance-like movements followed, culminating in an ending that reverted to the quiet northern landscape of the beginning. This, too, is music that looks towards the modern as much as back to the Romantics – Rautavaara is one of the inheritors, and there is even a Khachaturian-like moment in the Intrada that leads into the Berceuse (Suite No.1 VII). The performance was a winning one, with a tremendous but remorseless, controlled storm, and a very sensible placement of the harp right at the front and side of the stage, to allow the instrument to sing out in two of the movements. These two late works both contrasted and complimented each other, and were a reminder that in the first Finnish performance of Tapiola it was paired with the overture to The Tempest, followed by Sibelius’ final symphony, the Seventh. Here, though, the Festival ended with his most popular symphony, the Second. The orchestra had clearly got the measure of what Prior was looking for in his interpretation, especially in those layered dynamics (this is where extra rehearsal pays such dividends). For he concentrated on the shape of the symphony, crisp and with no sentimentality in the opening movement, and a very slow build-up dynamically in the second movement. 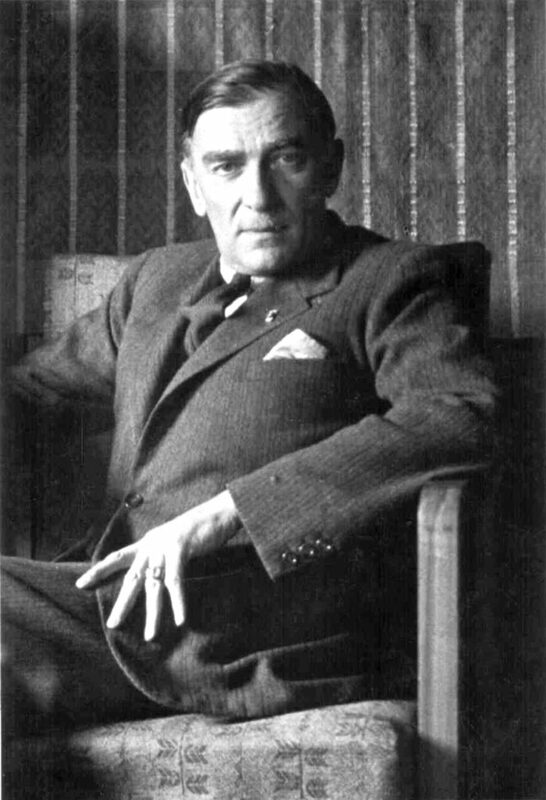 The virtues of this performance were the very deliberate and even tempi – those with a Romantic leaning might have wished for more flashy accelerandi, rallentandi, and crescendi, but that remorseless deliberation seemed to me to show the unfolding of the symphony a new, and very effective, light. It was almost as if the symphony were in one whole movement, rather than four. This makes sense, as those four movements share the organic growth of germ material, and similar contrasts of mood, and the difference in tone between them is not nearly as marked as in many symphonies. And to that committed playing from the orchestra – one marvelous cello moment from Rafael Hoekman, and wonderfully Russian-sounding trumpet tone from Robin Doyon, so appropriate for this work – and this was a compelling performance. And so the isle was now empty of those sounds and sweet airs, that give delight and hurt not. The thousand twangling instruments had ceased their humming, and the Festival was over. Perhaps ‘Festival’ is a little too strong a word, in spite of the various Finnish activities in the foyer. I do hope it is the progenitor of similar program planning, concentrating on one composer (or perhaps a particular country) in the future – certainly it seemed to go down well with the audiences. But if so, why not extend it to truly create a festival that could become a feature in this city of festivals? It wouldn’t take much to get together with the Edmonton Recital Society and the Chamber Music Society to have associated concerts during the festival period, nor would it take much to get some a contemporary art from the region concerned (an exhibition of contemporary Finnish art would have been really interesting here, and it’s not that difficult to tap into a country’s cultural affairs to arrange such things). And it wouldn’t take that much to organize an academic conference to go with it. The result would then be a true festival, and, what’s more, one that would give the orchestra and the city international attention in a cultural area that hasn’t yet received an international gaze. To organize such a festival, a longer lead time is needed (two or three years), and co-operation between various organizations (such as the Art Gallery of Alberta and other musical organizations on the city, and a university for the conference). Both are possible, and to have such cross-organizational co-operation, rather than the rather cliquey solitudes we have at the moment, would make such a festival worthwhile even before the music started. After a stirring opening concert on Friday February 22nd (repeated the following evening), the Edmonton Symphony Orchestra’s Sibelius Festival continued with another related pair of concerts on Thursday February 28 and on St. David’s Day (Wales’ national day, duly noted by conductor Alexander Prior in his opening remarks), Friday March 1. One of the most notable elements of the two concerts was the contrast in audiences (relatively large for both evenings). The first, longer, concert, billed in the orchestra’s Lighter Classics series, started later (8 pm), and went on considerably longer. Its audience was older, and considerably noisier, more of which later on. Friday’s concert started earlier (7.30 pm), was shorter (around an hour with no intermission), with a much younger audience, one of the most attentive (and quiet) that I have experienced in the Winspear. Now, Friday’s tickets were commendably cheap (the most expensive was $35), and there was the added bonus of a free drink with the ticket, as well as a Scotch tasting courtesy of Sherbrook Liquor (which, if you haven’t discovered it, is the place in Edmonton to buy craft beer, and has permanent discounts for seniors – and, no, I wasn’t paid for this endorsement!). Nonetheless, this new formula is clearly working – the ESO is drawing in a much younger audience, quite a few of whom will have been at their first ESO concert, so long may it continue. The Lighter Classics concert reminded me of those late Victorian concert programs that had a little bit of everything, here including just the first movement of the Violin Concerto. This is a practice I personally dislike, even if the opening movement of the Sibelius is so wide-ranging it almost stands on its own. But only almost, and Sibelius didn’t write it to played on its own. That movement is about 17 minutes long – the other two combined are only about 15, so why not just play the whole thing? 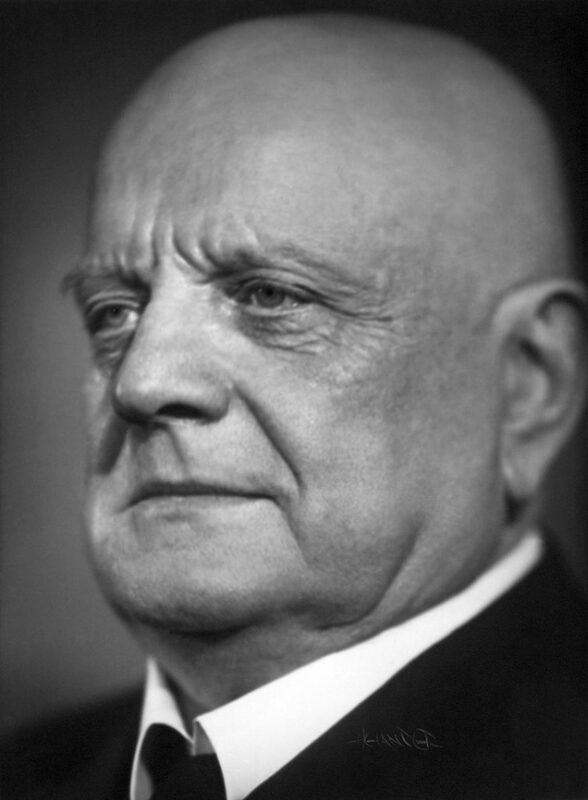 One the other hand, the inclusion of four of Sibelius’ songs was an unexpected piece of programming. Op.17 No.1 was orchestrated by Sibelius himself (in 1903), but Op.35 No.5 and the famous ‘Black Roses’ (Op.36, No.1) had been, we were told, especially orchestrated for this concert by John Estacio. Very well orchestrated they were, too, with a sympathetic sense of colour and sweep, and unassumingly true to the Sibelius idiom. The little touch of harp and cymbals in the otherwise string orchestration of ‘Flickan kom ifrån sin älsklings mote’, for example, was just right. The final song in the set (Op.17, No.1) wasn’t orchestrated by Sibelius, so I presume this was an Estacio orchestration, too. What gorgeous songs they are! He is one of the best of the northern song writers, emotionally involved in the texts, veering more to the dramatic art song than lieder, and perhaps it is only the language demands (Swedish or Finnish) that prevents them being heard more often. The young Edmonton soprano Whitney Leigh Sloan, who continues both to develop and to impress, started off a little subdued, but then really began to express the drama in the songs – she has an enviable range, full at the top when she opens out, and rich at the bottom – both exemplified in Op.37 No.5. She’s also understands how to phrase vocal lines that more follow patterns of speech, as here (making me wonder when she might tackle Janáček). These attractive performances made me want more, and rather regret that Sibelius’s masterpiece in the genre, Luonnotar, wasn’t included in the festival. Thursday’s concert did, though, end with a very effective well-kept secret. Prior’s interpretation of Finlandia was as expected – strong, clear lines, a concentration on colour, clarity, and detail, and an orchestral placement that emphasized those virtues, with the horns and brass at opposite sides of the stage, playing across to each other, and the percussion centre back. However, towards the end of the piece, in came from the back of the auditorium a large chorus, who stood in the aisles to join in – in Finnish and from memory – for the choral version of what is Finland’s national music. It was a rousing way to end the concert, and must have produced a lump in the throat and tears in the eyes for any Finn in the audience. Also very welcome was a rare appearance of a very late Sibelius work, the Suite for Violin and Strings, Op.117. This was Sibelius’ last orchestral work, and was requested by his American publisher. When that publisher rejected it, he wrote across the manuscript “Not to be published”, and it wasn’t performed until 1990. It is an engaging and rather unexpected little suite, evoking the countryside in spring and summer, without the larger landscape canvas we associate with the composer. In the first two movements, the violin is essentially the first among equals, and the first (‘Country Scenery’) does indeed sound rather American, shades of Copland, perhaps, with its sense of dance. The second (‘Evening in Spring’) is rather lovely and whimsical, and could so easily be by an English composer (the chamber music of Bax springs to mind), reminding one of the close association (and mutual admiration) between Sibelius and some of the major contemporary English composers. The final movement, ‘In the Summer’, though, is quite simply Sibelius’ Flight of the Bumblebee, a virtuoso running dance on the violin with suitably pizzicato strings. The violinist was the Norwegian Ragnhild Hemsing, here making her Canadian debut. She is equally at home with a classical violin and a folk instrument, having studied both from early childhood. In Thursday’s concert she played some Norwegian folk music on a hardanger fiddle, the traditional Norwegian folk instrument. Beautifully decked in mother-of-pearl on the fingerboard and with a dragon’s head as the scroll at the top of the pegboard, the instrument has four sympathetic strings for resonance underneath the normal four playing strings. 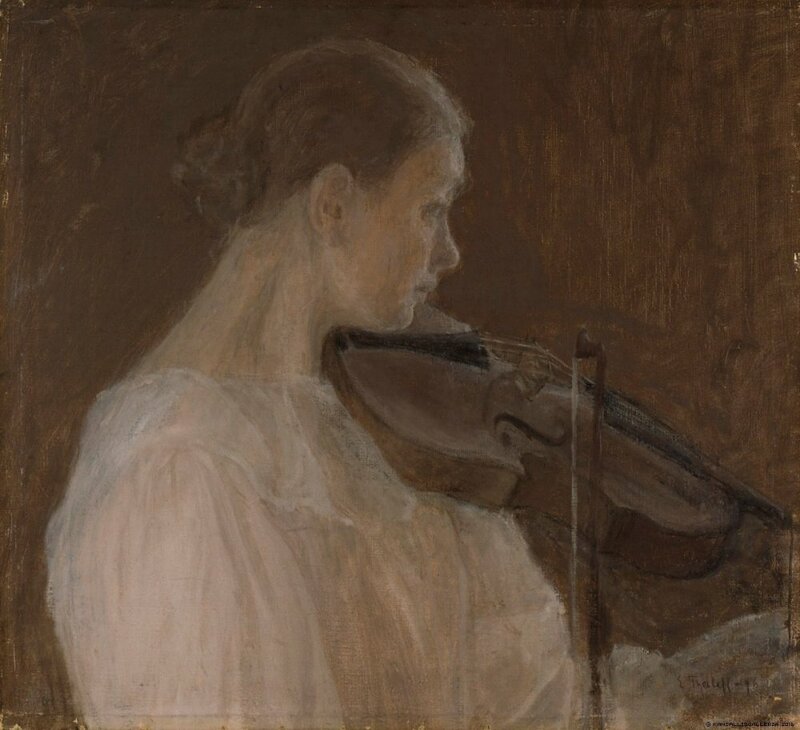 Some of that folk knowledge coloured her interpretation of the Sibelius Violin Concerto, to good effect, especially in the main cadenza of the first movement. On the Thursday, her performance of that movement was a little soulless, but Friday’s – a performance of the complete concerto – was richer in hue, more emotionally involved. Prior again secured clarity and layered dynamics from the ESO, and if there was the occasional glitch – there were a couple of moments when Hemsing was a little wayward in tempi, and the horns couldn’t quite play down to her very soft playing at the end of the second movement – that end of the second movement was magically peaceful, full of hope, and in the final movement Hemsing again brought out the folk connections in Sibelius’ writing. Thursday’s concert included both Valse Triste and its accompanying movement (not nearly so often heard), ‘Scenes with Cranes’: together they make Kuolema, Op.44. I had written of the opening concert in the Festival that the orchestra had achieved some really soft playing, but I hadn’t then heard them in Valse Triste, for here Prior went for a performance of dynamic contrasts, with a ghostly tone rather than the more mawkish, frenzied build-up that is often heard. Wonderful soft playing, but it had to compete with a very noisy audience, whose shuffling and dropping of programs and other sundry noises around me were actually louder at one point than the music. A very beautiful performance of ‘Scenes with Cranes’ was repeated on the Friday, where the silence and rapt attention of the audience allowed full rein to that quieter playing, complete with those atmospheric cries from the two clarinets. For me, though, the highlight of the two concerts were the performances of the Karelia Suite, which opened both evenings. I have known and loved this work since my teens, and can safely say that if the ESO had recorded the performance of the opening Intermezzo, I would have instantly gone out and bought it, to top the many recordings of it I already have. 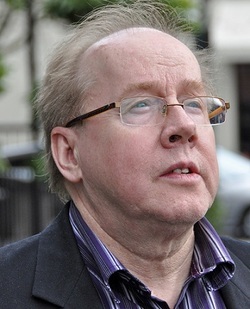 Thursday’s performance introduced the virtues of Prior’s interpretation. He took it a little slower than Barbirolli (a Sibelian master), with the result that it was both more lyrical and conversely more deliberate, with rollicking discipline from the orchestra. The Friday performance was not quite so deliberate, but the crescendo into the main march was ideal, and the tempi, again a little slower, made me think that this is how Sir Adrian Boult would have conducted it. At the same time the textures were cleaner, leaner, than in Karajan’s view (and I know Prior admires Karajan’s Sibelius). For me, this was the most ideal interpretation of this movement I have yet heard. In the second movement, where on Thursday the orchestra again showed they can play a genuine ppp, the approach was lyrical, more atmospheric in Friday’s performance. The final movement was definitely more effective on the Friday, with Prior adopting what might be described as a sleigh-ride tempi (most appropriate to the Karelian landscape). Both performances showed the Edmonton Symphony at their best. The Festival continues on Saturday, March 9. The first half consists of two late works, the incidental music to The Tempest, and the tone poem that comes closest to symphonic proportions, and to a savagery in the northern landscape, Tapiola. The Festival finishes with what is perhaps Sibelius’ most popular symphony, the Second in D major. The Edmonton Symphony Orchestra got its Sibelius mini-festival off to an authoritative start at the Winspear on Friday evening (February 22). For Mark Morris’ review of the concert, click here.